I suffered a traumatic brain injury in 2008 and first met Melinda Johnston while in outpatient therapy at Health South in Concord, NH. At that time, I was just beginning to walk independently with a walker. I began therapy after returning home. Melinda’s vast knowledge of the human body and the physical aspect of recovery, as well as her patient demeanor helped me immensely. Her interest in what I wanted from my recovery, for example, my returning to the game of golf, was important to her and to me. The exercises were geared to my weaknesses as a TBI survivor and what I wanted to achieve. Melinda has been an amazing physical therapist to our family over multiple years and injuries. We met Melinda in 2006 when I simultaneously fractured both legs resulting in 3 months of “non ambulatory” living — meaning in a hospital bed at home with no weight on my legs. Melinda did home visits to me in Waterville Valley and then expertly guided me on learning how to walk again. She remained positive and optimistic about my eventual recovery and helped me to attain my goal of resuming physical activities including skiing, water skiing, hiking (finishing the 4000’ peaks) and biking. Melinda again treated me in 2016 after right shoulder replacement surgery done in Boston. Once again she remained positive and optimistic about my return to full range of motion following surgery and she guided me toward that goal with a progressive stretching and strengthening rehabilitation schedule. Melinda is not only encouraging, optimistic and positive but she carefully explains the anatomy and physiology of the injury and the rationale for rehabilitation. In addition as a single practitioner she sees every patient at every visit. As a physician I am amazed by Melinda’s fund of knowledge and I would strongly recommend her to anyone. I am “clutzy.” Learning and practicing the balancing exercises shown to me at Johnston Physical Therapy has saved me often. A catch on the stairs, a black kitten running between my legs and a slip on the wet kitchen floor are just a few disasters I’ve avoided. In addition, leg and arm exercises have also helped me strengthen my body which in turn has allowed me to avoid surgery. I would highly recommend Johnston Physical Therapy. Melinda Johnston has been my Physical Therapist since 2015. She has been working with me before and after my shoulder surgery. When I ask questions she always gives her replies in language anyone can understand so you will understand what is happening. She is professional yet personable with you. And she will help you in anyway she can. Her care is second to none. She is professional, caring, and very knowledgeable in what she does. I would recommend her to anyone. And she makes you feel like you can do anything! About a month before double knee replacement surgery, two separate friends gave me totally unsolicited advice about a physical therapist that they had used. I listened to each saying something like: “she’s great, she only thinks about you when you’re with her, she’s on time, you won’t find anyone better, she’s very busy, you may not be able to get an appointment”. About a week later I saw my surgeon because of intense hip pain and he wanted me to see a physical therapist before knee surgery. I called the Johnston Physical Therapy office and to my surprise got an appointment right away. Several visits later the hip pain was under control and the knees were in much better shape for the coming surgery. Melinda tailored an exercise program for me that both strengthened knees and relieved hip pain. Needless to say, I was amazed! Because of having both knees done at the same time I had a short rehab hospital stay post surgery, mostly because of needing to do stairs. Then I had to choose between having a therapist visit me at home or going to one outside the house. Even though I had stairs to go up/down every time when entering/leaving the house, I knew that I would get great physical therapy from Melinda. I decided stairs would just have to be conquered. I have not been disappointed with my experiences. Melinda is very timely! I have never been left waiting long while someone else finishes their session and I always finish in a timely manner. I have never seen her looking at a clock. Melinda communicates. She takes time to answer any questions or concerns. She also encourages my husband to attend, watch my therapy, and ask questions he may have. Each session she listens, helps me do the right exercises, and makes me understand that I am gradually getting to my goal of being where I want and need to be. The body just takes time to heal, and boy am I impatient. She helps me deal with both the physical as well as the mental aspects of healing. 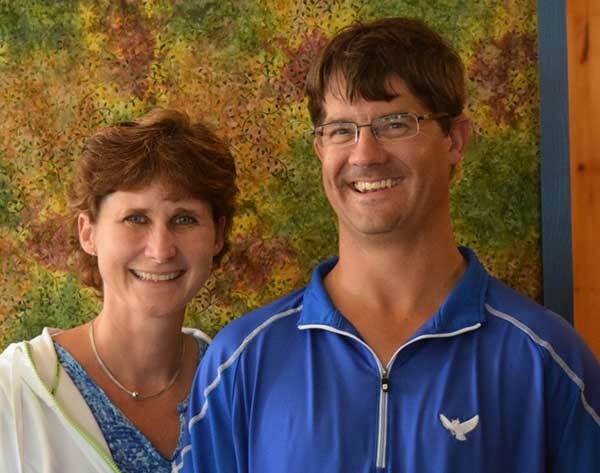 I know that there are other therapists closer to my house, but my husband and I are happy to drive the extra miles to get the individualized attention, service, and advice that Melinda Johnston provides to her clients. I highly recommend her!